Here’s the live website for a copywriting project I recently completed for a small web and graphic design company called Pixel Designer. Ably managed by Rizwan Chauhan and his team, the company, based in Essex, provide a range of bespoke web and print media services for local businesses. The copy needed to be of a professional quality in order to compete for bigger business with other similar firms in the area, and descriptive enough to get the message across without being too wordy. 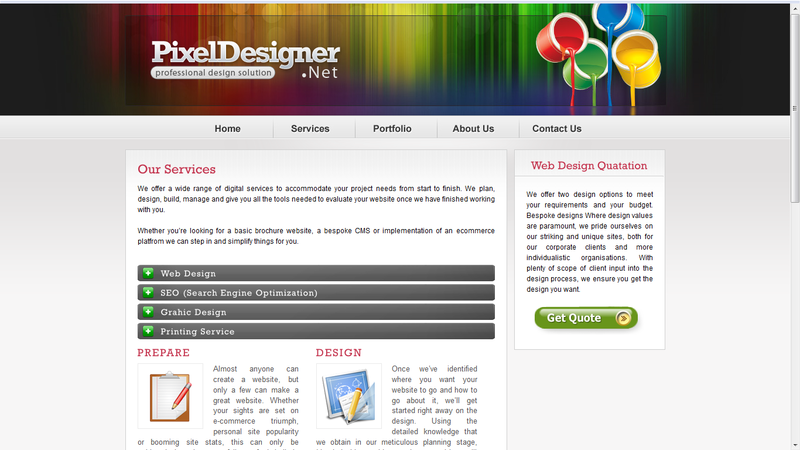 Combined with Rizwan’s colourful and eye-catching design, I think the Pixel Designer website certainly delivers class and quality.